Recently, Zenith held two summer expansion training during June 29th -30th and July 6th -7th . At the first day, the training is in Suzhou Yangshan Resort and Spa. 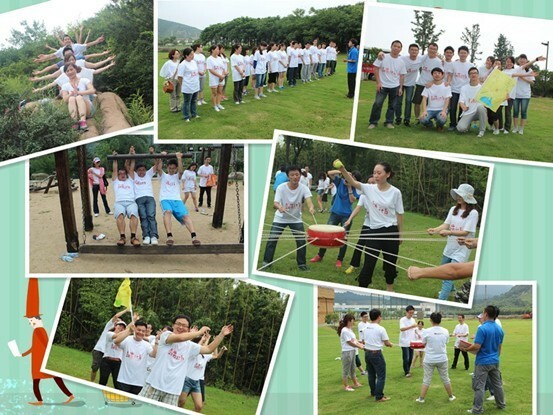 The coach lead the Zenith staff play many team games, such as Beat juggling and Gone in 60 seconds. In the interview, Julia said"These games is funny and they well tested our cooperative consciousness. The power of team are stronger than that of one person. So every person do need the support of team ." What's the most important in the second day is entertainment. The sitcom edited and played by themselves highlight the day. The coach were greatly shocked by their talent and expressed that they need much larger platform. After the show, it was the aquatic recreational amenities. In the torrid summer, the water games were very funny. Through the expansion training, all people have new cognition of the team strength. Though they are tired and tanned by the sun, it is enjoyable. The Zenith manager said"What's the highest level of team spirit? It is the centripetal force. By attending the expansion training, we can find that the power of one person is limited. So everybody should be into the team. And then the potentiality can be well developed."